Renée joined SVA in 2012. 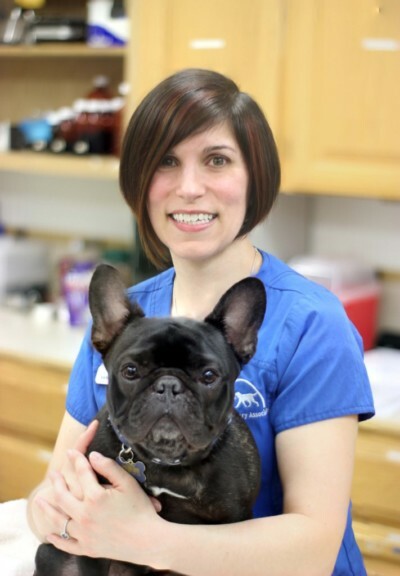 She began her career as a veterinary assistant in 2000 and spent several years working at an emergency animal hospital. Her veterinary interests include senior care and emergency medicine. Renée has a passion for training and behavior and aspires to train service dogs in the future. She had the privilege of sharing her life with Bailey Boxer and Simba the Jungle Cat, both adopted from an animal clinic after they were surrendered by owners who could no longer care for them. Renée was then adopted by a feisty feline named Big Punisher. All three pets lived out their golden years with Renée as their care taker. In her spare time she enjoys wine tasting, watching hockey, gardening and feeding the neighborhood squirrels.